(PhysOrg.com) -- Google's next big move, according to the Wall Street Journal, is a cloud storage service called Drive. Hardly first to the plate, Google is simply catching up to introducing its cloud repository idea for mobile users. Apple, Microsoft, and Dropbox are known for their services, but stories about anticipated Google launches generally stir the waters and seed lots of news items and bloggers posts. Google, as observers already point out, has significant stickiness with an array of services surrounding documents and communications; its extension into cloud storage is seen as important to watch. Drive will allow the user to store files and retrieve the files from Internet-connected devices, be it smartphones, tablets, or any other. The launch is reportedly planned for any time soonpossibly in the coming weeks. 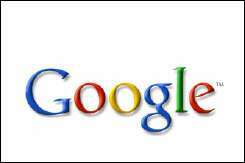 Information that can be Drive-stored is to include photos, documents, and videos, which would land on Googles servers. This type of online storage system sounds familiar to those familiar with Dropbox, which has enjoyed success. Dropbox has 50 million users, according to reports, and similarly allows users to store photos, documents and other material so users can always access them from PCs, smartphones, or other devices. Google and Dropbox also bear resemblance in pay models--Google's Drive service will be free, but users who store large amounts of data will have to pay. Similarly, Dropbox offers 2GB for free but collects $9.99 per month from customers who want 50 GB of data per month and Dropbox charges $19.99 per month for 100GB. Apple offers iCloud and Microsoft, SkyDrive, but much of the press attention is focusing on Dropbox and what Googles entry might do to threaten the popularity of Dropbox. Another question being posed is whether Googles business executives will be content with simply a tiered subscription payment model or whether the company will be getting into the more lucrative business of scanning the users data for the purpose of sending targeted ads. This might ruffle watchdog groups sensitive to threats to privacy. Lastly, there is the all-familiar question about cloud storage versus maintaining security for large businesses. Some cloud-computing watchers worry over the idea of employees storing certain information on a service that the companies cannot directly control. Ensuring security measures to automatically stop people from sharing confidential documents has been one suggestion in the ongoing conversation about cloud services and security. However, if Dropbox, which enables enabled iPads, Android phones and PCs to work together, is any indication, a number of businesses do feel comfortable about file-sharing services from Dropbox. According to a report last year in The New York Times, millions signed up with their work e-mail addresses to Dropbox and the company estimated that at least one million businesses used the service. Yet another company, Box.net, has had success in targeting business customers by spelling out advantages of using its file-sharing services without incurring headaches over compromised security. Box.net tells customers that protecting your corporate content is our top priority. The company says it has invested heavily in security and resiliency at its data centers. The inevitable is coming. As "cloud" storage becomes the next Magic Box that is adopted by corporations, agencies private and governmental, and private individuals you will be hearing about the major security breaches. Breaking into "secure" cloud storage networks is going to be as common a news story as the ones we read now about bank security, credit card security, health records security being breached and exposed as inadequate. Since "digital" information was adopted has any database NOT been penetrated and exposed? The "security" schemes are always exposed and breached by those who are savvy, motivated, and criminally minded. The CLOUD is the next big marketing re-packaging of networking. Networking is connecting plain old computers over hard wires and routers. The CLOUD, anyone's cloud is all of that. The only additional security risk that also makes it "cloudlike" is that MORE PEOPLE have theoretical access through wireless connectivity. Don't believe the hype. Your corporate or personal data will be More Vulnerable than ever "in the cloud". The nasty secret inside this nascent industry of IT professionals who are "switching" to cloud management is that they have no international standards in place for "security". The "cloud" is as much a mish-mash of rival and competing schemes and technologies as the the last 20 years of hardbox networks inside an organization. The "cloud" is a marketing term for a Wild West hodge-podge of storage, backup, packetizing, and database schemas now mixed with all the headaches of making it wirelessly accessible across a mish-mash of changing and evolving transmission technologies. Plus, CRIMINAL organizations are jumping in as "authorized" cloud providers (just like setting up an internet hosting provider) in the less stringently controlled regions of the world. Eventually your data will pass through their control as well, but the ability to DETECT the breach will be very limited. It's really ridiculous that individuals or small businesses can't be smart enough to use disk backups and a damn safety deposit box. I never liked the idea of cloud computing for the same reasons vienna gives. Plus, extra hard drives or optical disk backups are easier to re-load than a cloud backup or software anyway. Who wants to have to sit there and download all your stuff again? Run the software from the Server side? Are you SERIOUS? How can that be more efficient than running it all on your own system? It's a nested virtual engine on the other side, and must communicate through all of the switches and routers and your ISP, so it must be both slower and more vulnerable for any practical use. It's always up to you to secure yor data via encryption. Handing out unencrypted data to a third party for storage would just be foolish. Depends on the business model. If you have a lot of data and travel a lot then cloud storage can make sense. If you have a worldwide business model where many consumers need to access your data then cloud computing can make sense. For the small, localized business? Not so much. It depends a lot on your security requirements, too. I keep my EndNote library on my dropbox, as well as various documents I'm working on. All of these are files or databases that I need to constantly be in sync between my desktop and laptop, and files that would set me back by, at the least, a good week if they were lost. As far as security goes, there's nothing in my dropbox that isn't already public knowledge, published, or about to be. Additionally, it's great for collaboration. I use my dropbox for sharing large files with friends and for projects like Excel spreadsheets. The spreadsheet layouts and formulas themselves don't need much security, and they don't need to be populated with real data until we're done. My main problem with Dropbox for collaboration is that few people have dropbox accounts. Most of my friends and coworkers have Google accounts. I will definitely benefit and switch if Google launches a competitive service with all the key functionality. People who complain about their personal data on-line being insecure really need to get one point. Information that you have NOT personally encrypted with an open source tool that you have personally vetted and understand, using hardware that you have personally secured... Is NOT safe. I use Google services and Dropbox - they are both good. Don't worry about what you cannot control, but control what you can properly.